Pastor Leslie Richard gave some of the children an Easter Message. 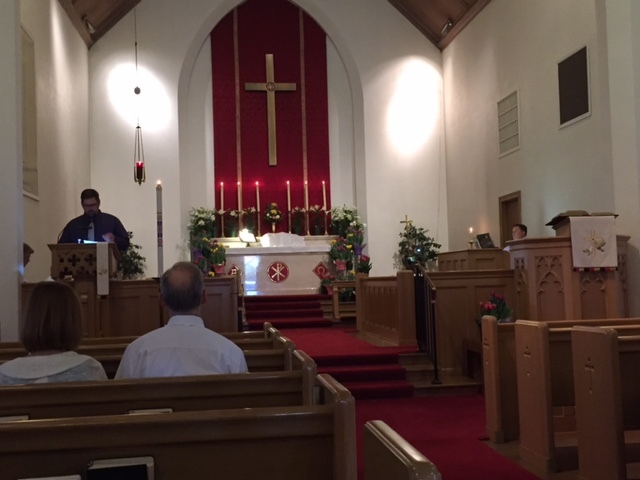 Easter morning worship Service with Holy Communion. Sunday, April 2, 2017 – There will be a Council Meeting immediately following the worship service in the downstairs meeting room. Please plan to attend. Sunday, April 2, 9, 16, 23 & 30, 2017 – Choir Rehearsal at 9:30am in the meeting room & again immediately following the worship service in the Chancel. Tuesdays in April – 4/4, 11, 18, & 25 – Confirmation class will be Tuesday nights at 6:30 during April. Wednesday, April 12, 2017 – Bible Study lead by Pastor Richard will begin at 11:30. We are studying the book of Acts. Please feel free to bring a brown bag lunch and a friend. We will meet in the downstairs meeting room. Sunday, April 23, 2017 – Blanket Sunday. Please stay for a light lunch and help us make blankets for Lutheran World Relief immediately following the worship service. If you can tie a knot you can help. All men, women and children are invited to help. There will be a sign-up sheet in the Narthex. 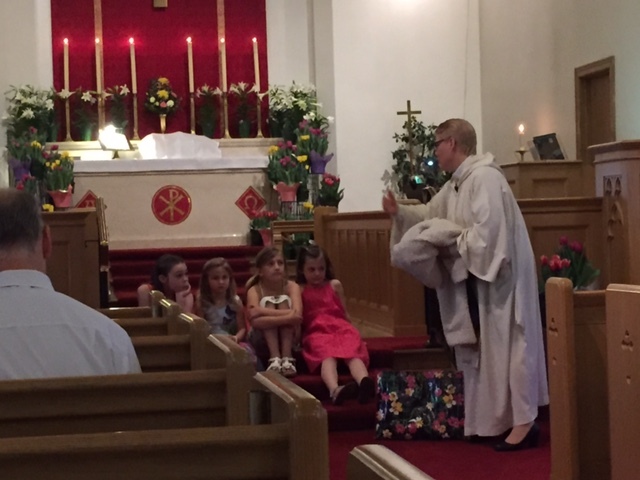 Palm Sunday, April 9th – Holy Communion at 10:00a.m. Thursday, April 13th – Maundy Thursday Holy Communion at Grace 7:00p.m. Friday, April 14th – Good Friday Service at Grace 7:00p.m. Sunday, April 16th – Easter Sunday – Breakfast at 8:30a.m. Holy Communion at 10:00a.m. with an Easter Egg Hunt for the children immediately following the worship service.